If you want to make sure that your bike is an epitome of quality and comfort – or at least close to it, measuring and buying the correct bike is crucial. For, if you fail to do it, you’d end up with a badly sized bike. Subsequently, not only your knees would get prone to pain but also the joy of riding a bicycle will evaporate. Consequently, you might end up with binning your bike once and for all. 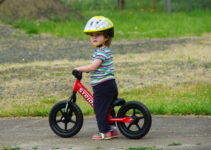 However, if you have a rudimentary knowledge of bikes’ parts and sizes, you’ll be in a situation of arguing with the shopkeeper to get the bike which suits you the best. Generally speaking, there are four types of road bikes available in the market. As you might guess, all of them serve different purposes and are designed for different trails. Let’s take a brief look at each of them to find out which suits you the best. Racing road bikes: Being fast, light, and aerodynamic, these are the ones mostly preferred by road bike enthusiasts. Comprising of lighter frames and thin tires, they are designed for commuting purposes. Cross Bikes: Comprising of a sturdier frame and wider tires, these bikes are built for a large number of terrains. That is, whether you are using them on city roads or on light trails, these bikes serve the purpose really well. Touring bikes: As the name might suggest, these bikes are designed for long trips. Also, they are sturdier than even the cross bikes and can hold a lot of weight for extended time periods. Finally, if you want to use them as a commuter bike, these bikes would do it as well. Triathlon bikes: If you have an excessive need for speed, these bikes are the best. They are light as a feather. However, more importantly, they are the most expensive ones. You would need three different measurements to correctly measure the frame size. Seat Tube: The upright bar located between the pedals and your seat, it could be measured from the bottom of the seat to the center of the crankshaft. Top Tube: To measure your “reach”, this is the tube connecting your seat to the handlebars. Head Tube: That tube which connects the stem of the handlebar to the fork around the front wheel makes the head tube. Just like the top tube – but in a different manner, this tube affects your reach. To measure your inseam, stand with both your feet 6’’ apart. Now, use a measuring tape to measure the distance from your crotch to the inside of the foot. Make sure that this measurement is done in centimeters. To estimate the tube length of the seat, multiply your inseam with 0.67. However, if you want to do it analogically, the seat tube can be measured from the center of the crankshaft to the top of the seat tube. When the red light strikes, you would have to stand. For that time, all you need to do is to make sure that you would be able to do it comfortably. Provided that you cannot, go for a lower frame size. Statistically speaking, there are a lot of formulas to measure your “reach”. However, we need to make sure that the bike which you’re planning to buy is the most comfortable for you. For this purpose, try out a number of bikes. For veteran bike owners, going for a bike which has handlebars lower than the seat height seems a perfect choice. For newcomers, however, they should prefer handlebars whose height is aligned to that of the seat.